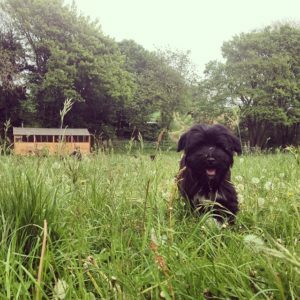 Our doggy day care takes the dogs of Angel and N1 away from the hustle and bustle and into the countryside for some fresh farm air and games! 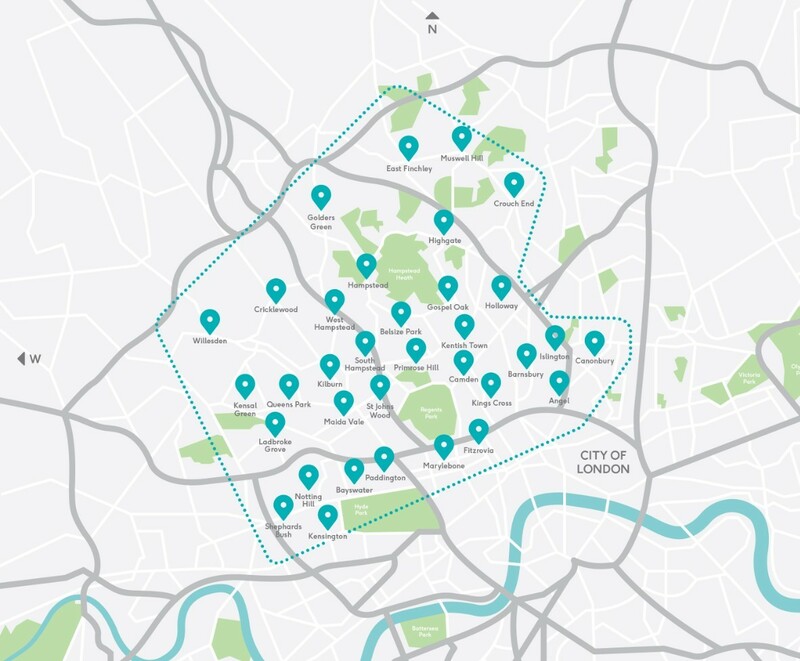 Here at Buddies, we want to make life as easy as possible for you- we include a personal front door pick up and collection service every morning and evening. Your dog will be greeted by a familiar face each morning, allowing you to go about your busy day knowing that your dog is in the best hands! Even Mondays are fun days at Buddies! Our land is completely secure, meaning that your dog will be off their leash all day, free to frolic and explore with their friends under our watchful eye no matter how good their recall is. 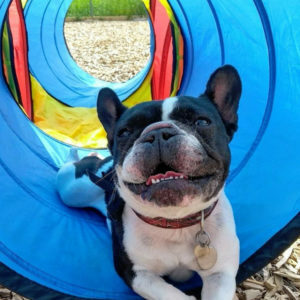 Your dog can spend a fun filled day climbing on the tree trunks, digging in the sand pits or just chasing their mates round the acres of meadows. Our team value the importance of familiarity and bonding, and all dogs in our care are regulars so that we can build a nurturing relationship. Is your excitable pup ready to run free in some open space? Those little legs can’t walk too far yet so we’ll pick them up in our GPS tracked, spacious van for the ride out to our day care facility. Once there, your puppy will team up with his pals to explore and gain new experiences – picking up some basic training along the way. Sleepy puppies can curl up on a warm lap for a puppy power nap to recharge ready for their next activity. With experience working in the Blue Cross before coming to Buddies, Evie has a wealth of knowledge all things dog! She also lives in Islington herself so know the area like the back of her hand. Buddies provide an incredibly caring and professional service. They are totally geared toward creating the most positive world possible for your dog. They are a reliable and professional team, always arriving on time, endlessly flexible with arrangements, and genuinely caring for and interested in dogs. We absolutely love the Buddies team. 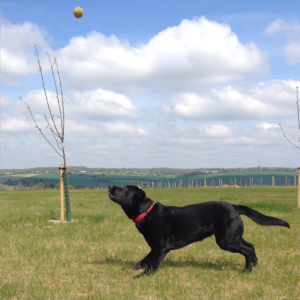 Our black lab June likes to stretch her legs off the city streets of London and this is the perfect place! They go above and beyond simply caring for our dog. We would be lost without them! The whole team at Buddies are fantastic! Incredibly reliable and trustworthy, with the best service you can have for you and your dog. Nothing is ever a problem for them. Our dog loves the whole team and her pack, and its so nice to know that she is always in the best hands during the day as well as boarding.